As both a pharmacist and a father, I find that my toughest (and most entertaining) patient is my toddler son. Generally, whenever my wife and I attempt to give him medication or explain to him the importance of healthy habits, a grand inquisition ensues, and no matter what answer is given, another “but why?” quickly follows. I’m sure any parent reading this knows this story all too well. However, no matter the difficulty they present as patients, I’m also sure any parent will agree that the health of our children is our number one priority. Of course, there are plenty of basic tenants that go into keeping our children safe and healthy. Many of them are the same principles we use as adults. Diet, exercise, hydration, and adequate amounts of sleep are the foundations to build upon. When it comes to diet, parents need to find ways to strike a balance for their children. While it is a rite of passage in childhood to get your fill of cake and ice cream at a birthday party, it’s important that we teach our children that these are treats, and not daily meals! A good rule of thumb is to live by the 80-20 rule, spending 80 percent of the time eating as healthy as possible, and the other 20 percent allowing your child a little leeway. Most importantly, understand what is and isn’t healthy. For example, fruit juice might sound healthy with “100% vitamin C!” plastered all over the label, but what they are missing on that label is “packed with loads of sugar!”. There is no substitute for plenty of whole fruits and vegetables, whole grains, and healthy proteins such as lean, unprocessed meats. And when we explain to our children why these foods are healthy, and that they build strong bones and muscles, it reinforces healthy decisions later in life. Likewise, staying active is essential to healthy development in children, and most kids should get at least sixty minutes of physical activity per day. This can range from playing outside, to going for a walk, to taking part in a sport. Fostering this appreciation of physical activity will not only improve physical health, but also will have the added benefit of limiting idle time spent in front of the television or playing video games, teaching children to be attentive and engaged. In fact some research has shown that physical activity has improved testing scores in school aged children. However, while prevention with healthy habits is always the best medicine, as any parent with a child in daycare or school will attest to, inevitably, they will pick up germs and get sick at some point. Sometimes this can be as simple as a minor 24 hour bug, or it can be as severe as a chronic illness. It’s important that we as parents are attentive to even the slightest of issues, and address them in a timely manner to prevent them from becoming full blown concerns. Whenever your child develops symptoms of concern, contact a health professional such as a pediatrician or pharmacist. These professionals can help you better asses the severity of the situation, and point you in the best direction to address the illness. Sometimes the advice may be simple TLC and watchful waiting, whereas other times, medications may be necessary. When medications are necessary, things can get a little tricky. I can’t count the number of phone calls over the years I have received at the pharmacy from desperate moms and dads attempting to give their children medication, only to have it spit back out on them due to taste or an inability to swallow whole tablets or capsules. Kids are picky, and sometimes, I don’t blame them! Some medications are not the most pleasant things in the world. When these issues present themselves, custom compounding of medications is a great option. Pharmacies that specialize in compounding have the ability to make medications into a variety of kid friendly dosage forms including liquids, chewable gummies, lollipops, medicated pacifiers for infants, or even making the drug into a topical cream to avoid the oral route altogether. Additionally, the oral dosage forms can be flavored with options such as grape, bubble gum, or strawberry, making the medication more palatable for the child. Compounding also allows for pediatric appropriate dosages to be given, as the medication can be made to the exact needs of each child based on their age and weight. That becomes especially important when children need to be given medications which are only manufactured at adult dosages, such as acid reflux medications often given to infants. Another unique benefit of compounding pharmacy in pediatrics is the ability to exclude potential allergens from medications. Food allergies are becoming increasingly recognized, and unfortunately, many times manufactured medications contain allergens such as gluten, casein, corn, soy, and dyes. 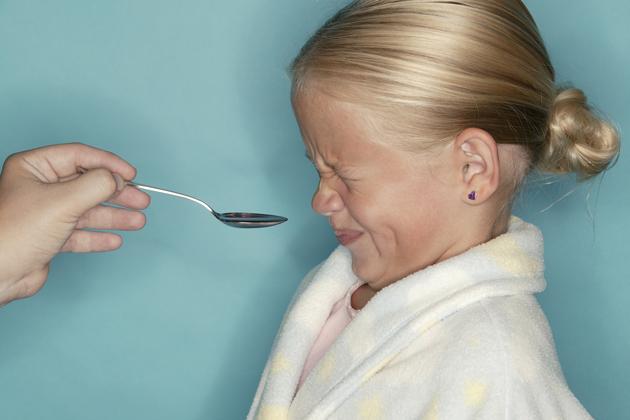 Compounding pharmacists in many cases have access to pure powdered sources of the drugs, and can therefore prepare medications to be compliant with each child’s allergy profile, thus getting your child better without causing other issues. It is important to note that while many pharmacies have compounding capabilities, when seeking one out, look for one that has achieved accreditation, such as Pine Pharmacy in Williamsville. This accreditation gives you peace of mind that the pharmacy is meeting proper quality control standards when preparing medications for your little ones. Pediatric health is a lifelong journey for both child and parent. As I can personally attest to, it isn’t always a perfect one and mistakes will be made along the way. However, you will always be your child’s best advocate, so be sure to put their health at the forefront in everything that you do.